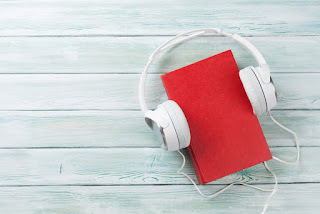 Not long ago, I read an article that suggested that audiobooks are a passing trend, something that gained popularity simply because the technology allowed them to be easier to produce. The author of the article seemed to believe that the growth in the market was short-lived and, further stated that the audiobook industry is already facing a decline. I’m not sure where the author was getting his facts, but that is not the case. This is, in fact, a very exciting time to be a voiceover artist, because the audiobook market, and many others that rely on voiceover continue to grow by leaps and bounds. At the end of the first quarter of 2016, figures were publicly released about the audiobook market for the year before. It was stated that the industry had enjoyed a 20 percent jump in a single year’s time. By the end of 2015, the value of that market surpassed 1.75 billion dollars. Assuming the average price tag attached to an audio book is $15, that figure is the equivalent of 117,000,000 audiobooks. The growth continued in 2016, with more and more people signing up for subscriptions to services like audiobooks.com. This is a huge market and, despite what the other author might have suggested, not one that is likely to go away. The average American has a 51 minute round-trip commute each day. Many are spending even longer on the road, trains, subways, or other forms of transportation daily. Audiobooks are providing a safe and effective form of communication for a large percentage of those individuals. The good news for the voiceover artists is that the growth of that market means more jobs available. Audiobooks are large projects for voiceover actors and certainly a desirable niche for those working in this industry. The number of voiceover artists has undoubtedly increased as well, because technology has made it a career path much more accessible to the average person. As long as the growth of the audiobook market, and others like it, continue, this remains a very promising profession.